Ben Affleck attending the European Premiere of Batman v Superman: Dawn Of Justice in Leicester Square, London. Batman's 80th birthday is Saturday - well, at least, Batman's first comic appearance - and what better way to celebrate this iconic superhero than to take a look back at some of the worst and best performances in live-action Batman adaptations. Watch: Mashup up of "Batman v. Superman" trailer and "It's Always Sunny"
Even though Batman made his comic debut in "Detective Comics #27," dated May 1930, the actual comic was released to newsstands on March 30 of that year. His actual birthday is a bit of a mystery, however. According the animated series, “The Batman,” Bruce Wayne claims his birthday is in October. But Frank Miller, who wrote “The Dark Knight Returns,” says his birthday is actually in November. All that brooding he likes to do does make more sense if it turns out he's a Scorpio. From the 1960s original series to Christopher Nolan's "The Dark Knight" trilogy, here's a look back at all the best and worst of Batman. Wilson and Lowery were the first actors to portray the superhero on the screen in the 1940s. Wilson starred in "Batman" in 1943, with Lowery following suit in "Batman and Robin" in 1949. As significant as it is that these two were the first, their performances were just okay. Kind of awkward. No one who was going to play this character first would hit out of the park. As much as we wish we could give Clooney a higher position - we just can’t. "Batman and Robin" was kind of a mess and Clooney's portrayal of the beloved superhero was mediocre. This is also the lowest rated Batman movie, with a 10 percent rating on Rotten Tomatoes and just a "2/4" from Roger Ebert. Ouch. Was Kilmer all that bad in his portrayal of Batman? Not really, but "Batman Forever" is the second lowest-rated Batman movie for a reason. Kilmer, while not awful, was coming off the heels of Michael Keaton's critically-acclaimed performance. He tried his best to make it his own, but it fell a little flat. Also, the movie was just a bit of a mess in general. Though, we did get "Kiss From a Rose" by Seal, so I guess it wasn't all bad. 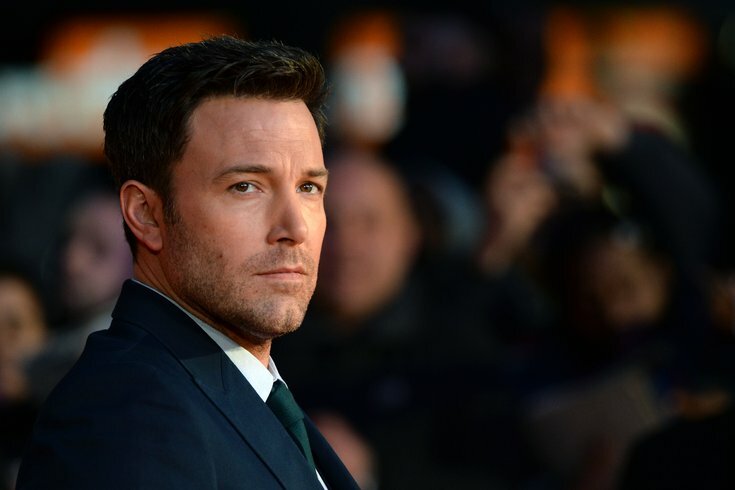 Despite all the criticism he received for being chosen for this role, Affleck just was fairly decent in the role. Social media hounded the announcement of Affleck in the superhero part, but he actually did a decent job in his portrayal. Was it perfect? No, but he did pretty good all things considering. He was definitely better than Kilmer and Clooney in "Batman vs. Superman." The Oscar-winner may be no. 3 on this list, but he certainly has one of the most memorable performances as Batman to date. He played the darkest and broodiest Batman of all them and he played it well. His scratchy voice was a bit much at times, but Bale played the part with vigor and intenseness. He brought Christopher Nolan's vision of "Dark Knight" trilogy to life in the best possible way. West is the O.G. Batman, which is why he’s No. 2. Maybe he wasn't technically the first to play Batman, but he was definitely the first to make the role his own. Is he silly? Yes. Much sillier than anyone else on this list? Of course. But West's Batman is a classic. It's hard not to love his dry sense of humor and the comedy he brought to the role. Keaton was the ultimate Batman. He perfectly married the darkness of the character while maintaining his charm and humor at the same time. Keaton's foray as the superhero in "Batman" and "Batman Returns," both directed by Tim Burton, received critical acclaim. Oddly enough, Burton's selection of Keaton for the role was highly criticized against - way more than even Affleck. Known for his comedic roles in "Mr. Mom" and "Beetlejuice," people had a difficult time believing he could pull it off - but he did. As Keaton said himself, "I am Batman."